Stable heterosexual marriage is the lynchpin of entrance into and maintenance of the middle class. This is why the Liberal Democrat's war on the middle class must also include a war on marriage. Time in Japan, home of some of my family. "Hitler is gone, but if the majority of our fellow citizens are more susceptible to the slogans of fear and race hatred than to those of peaceful accommodation and mutual respect among human beings, our political liberties remain at the mercy of any eloquent and unscrupulous demagogue." Governments acting under the color of authority have killed more of their own people than all the world's wars combined. Constitutional, limited government and an informed and involved electorate are the only tools against tyranny. A government which can do anything for you can and will also do anything to you. a Ronald Reagan Democrat and an Art Link Republican. In 1976, I was a Reagan delegate at my first ever county presidential caucus. As the largest county in the state (by far), we knew that whatever transpired there would have a profound impact on how our state's delegates were awarded. We were a small otherwise insignificant state but the battle between Reagan and Ford was so close at the time that Reagan actually came to our area to make a pitch for our delegates. The GOP leadership was very much pro-establishment and backed Gerald Ford. Reagan, class act that he was, made his pitch and left his surrogates to do the job before our county convention. As one of the youngest members there, I was chosen by my colleagues to be the youth speaker and was allotted a brief three minutes to address the convention. Nobody asked me to clear my remarks in advance, this was a spontaneous affair. I told the convention that fair or not, our youth saw Ford as an extension of the Nixon administration and, as such, would not likely vote for him in any case. He could lose the nomination gracefully now and give us a candidate who could possibly win, or he could face certain defeat in the general election. I then reminded them of Reagan's virtues and popularity as we had polled the delegates at the county convention and found that about 80% of the rank and file supported him. Other, far more eloquent and polished speakers, then delivered quite similar remarks. After they were done, the state GOP chairman, a respected doctor and former state legislator arose to speak for Ford. He thanked us young people for our enthusiasm, among other things, but pointed out that the delegate vote was advisory and as party leadership, they had the right under the rules to allocate the delegates in a manner which he/they saw fit. Further, he admonished us, it was not right to disrespect a sitting president. There was an audible gasp from our area of the audience, but we did not try to shout him down or otherwise make a noisy scene. Nevertheless, continued the chairman, he saw room for and a need to compromise and would take it up with the party leadership and would figure out a way to allocate the delegates in a fair and equitable manner. The end result, some hours after the convention ended, was that the State GOP establishment decided the fair way to do things was to split the delegates 50-50 between Ford and Reagan. This was despite the fact that our county's convention was about 80%/20% in favor of Reagan and the vote in the smaller more rural counties in the state would have been even more lopsided in Reagan's favor. Up until then, Reagan had all the momentum on his side. After that, the momentum slowed enough that there was a floor fight at the national convention. We know how that ended. Our Reagan delegates remained civil, but Ford won the nomination. Sometimes I've wondered if we might have changed history had our people been more vocal and forceful at that county convention. But the conclusion which I usually reach is that our country wasn't ready for Ronald Reagan in 1976 and we would only have made asses of ourselves and ruined his opportunity to come back and win it all four years later. A useful tool I've found to help small and mid-sized businesses enjoy pricing and benefits usually only available to larger businesses. Yes, the mid-sized business which I work for uses it. So do I, personally. The man honored in my former tagline is Ahmad Shah Massoud, born 2 September 1953 and died 9 September 2001, as the first victim and martyr of the September 11 attacks. Massoud was a good and decent man, a moderate follower of Islam, and a great friend to America. It was Massoud who risked his life multiple times to put Osama Bin Laden in our crosshairs awaiting only the order of someone in Washington to give the order to fire. The closest we got was when George Tenet authorized the hit but lost Bin Laden when Secretary of State Albright warned Pakistani Intelligence of the incoming missiles and elements within that agency promptly warned Bin Laden. Thus the man who could have prevented 9-11 became its first victim two days before. America owes a lot to Massoud not only for what he tried to do, but for what he actually did. 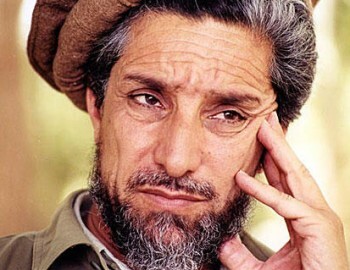 For it was Massoud's leadership which broke the back of the Soviet invasion of Afghanistan, the first in a series of events which led to the collapse of the evil empire. Massoud lived his life for freedom and gave his life for freedom. He was a better American than most of us who were born here. While the easy thing to do would have been to share power with the Taliban, Massoud remained loyal to America until his dying day for the support he received from the Reagan and Bush I administrations. He fought not to replace one form of dictatorship with another, but that so all Afghanistan could be free. He was named "Hero of the Afghan Nation" by President Karzai, the first democratically-elected leader in the history of that nation. Karzai won 21 of 34 provinces in that election and truly speaks for moderate Muslims everywhere in honoring Ahmad Shah Massoud, one of the most loyal friends America ever had. Actual photos from inside Ramallah which our enemedia doesn't want you to see. Create your own visited map of The United States or see details. You've got a pretty good handle on US geography. There's a good chance you've visited at least a dozen of the fifty states. How Well Do You Know Your States? who was killed by DC police on October 3, 2013 for driving too close to the King's Palace. Previous civilizations have been overthrown from without by the incursion of barbarian hordes; ours has dreamed up its own dissolution in the minds of own intellectual elite. It has carefully nurtured its own barbariansall reared on the best Dr. Spock lines, sent to progressive schools and colleges, fitted with contraceptives or fed birth pills at puberty; mixing D.H. Lawrence with their Coca-Cola, and imbibing the headier stuff (Marcuse, Chairman Mao, Malcolm X) in evening libations of hot chocolate. Not Bolshevism, which Stalin liquidated along with all the old Bolsheviks; not Nazism, which perished along with Hitler in his Berlin bunker; not Fascism, which was left hanging upside down, along with Mussolini and his mistress, from a lamp-postnone of these, history will record, was responsible for bringing down the darkness on our civilization, but liberalism. A solvent rather than a precipitate, a sedative rather than a stimulant, a slough rather than a precipice; blurring the edges of truth, the definition of virtue, the shape of beauty; a cracked bell, a mist, a death wish.